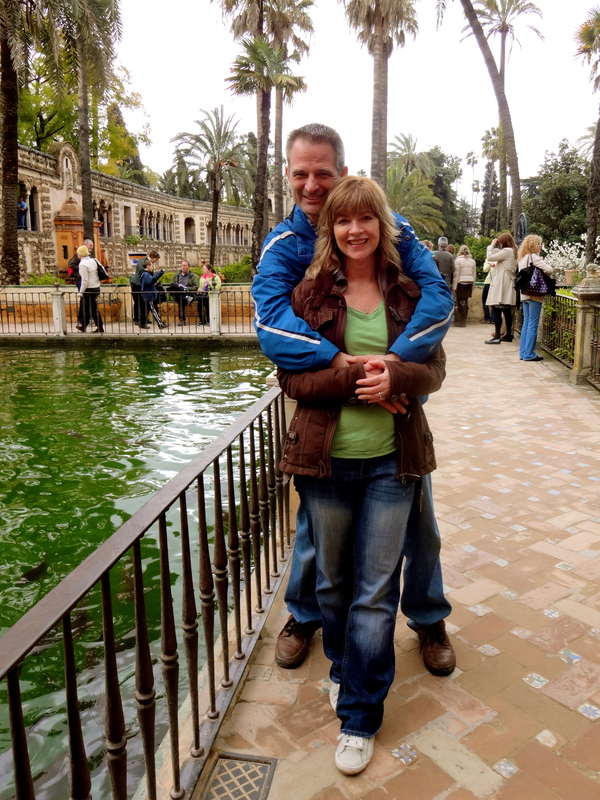 We had a wonderful eleven-day vacation in Spain last month. 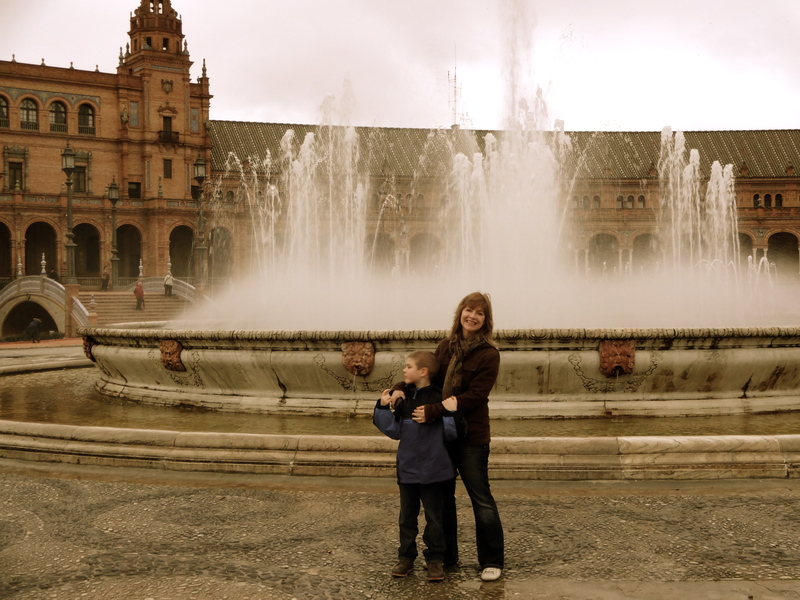 We visited Seville, Cordoba and Granada. Usually we use public transport when traveling, but discovered going by train within Spain is very expensive. We stayed with friends in Seville and Granada, but the location in Granada was outside the city, so we needed to rent a car. Since I am the family travel agent, I went online to research car costs, and was delighted to find a compact car that cost about $34 a day with insurance included. The Alcazar gardens in Seville. Tip #1: Go with a well-known, proven agency and read the fine print in the offer. I didn’t. I LOATHE reading fine print! We booked with Marbesol. Marbesol?? When we arrived to pick up our car, we discovered that we had a “meet and greet: pick up with a full tank and bring it back empty”. Sounded good to me when I booked, but I didn’t read that “the company may charge you for gas”. We were told that we would have to pay 108 Euros for the privilege of bringing the car back empty (no refund for a partially full tank) AND we’d have to pay an 800 Euro deposit because the insurance didn’t cover everything. The car was tiny, and we knew a tank of gas would be much less than 108 Euros. Our other choice was to pay 129 Euros, which included full coverage, but we had to bring the car back with a full tank. So, we chose the second plan. Our good deal was now a not-so-good deal. Tip #2: Read the contract carefully before you purchase. Full coverage may not be full coverage! When we returned our car, the couple ahead of us had the misfortune to have a fender bender. Nothing serious, but they were relieved that they had purchased full insurance. The agent congratulated them on having full coverage and said they only had to pay 245 Euros for the time the car would be out of commission for repair work. They argued that they had full coverage; but the agent said it didn’t cover the days the car would be out of commission. ARRRGGHHH! 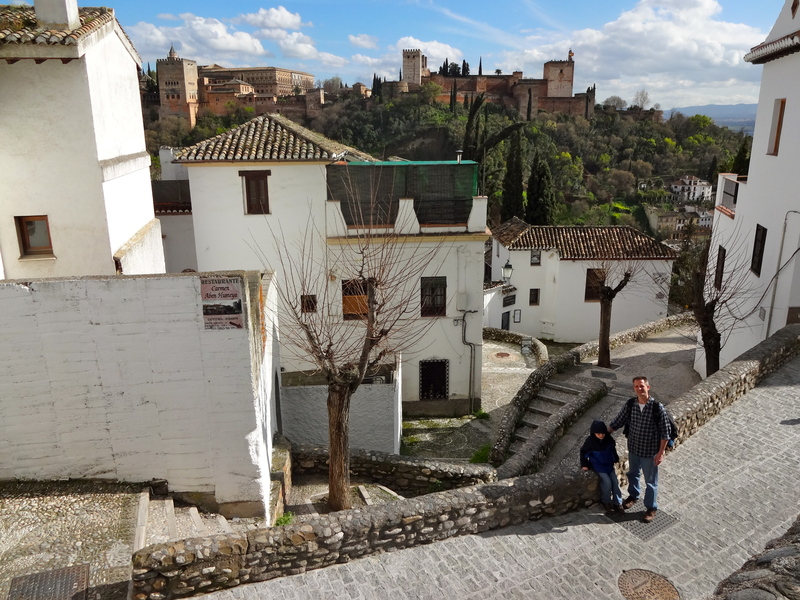 The Albayzin; the Moorish quarter of Granada. Notice the Alhambra in the background! Tip 3: Don’t pay for insurance with a third party company when you book the car online. The few times that we have done this, the “independent party insurance” never covers enough, so you end up purchasing additional insurance from the car rental company. 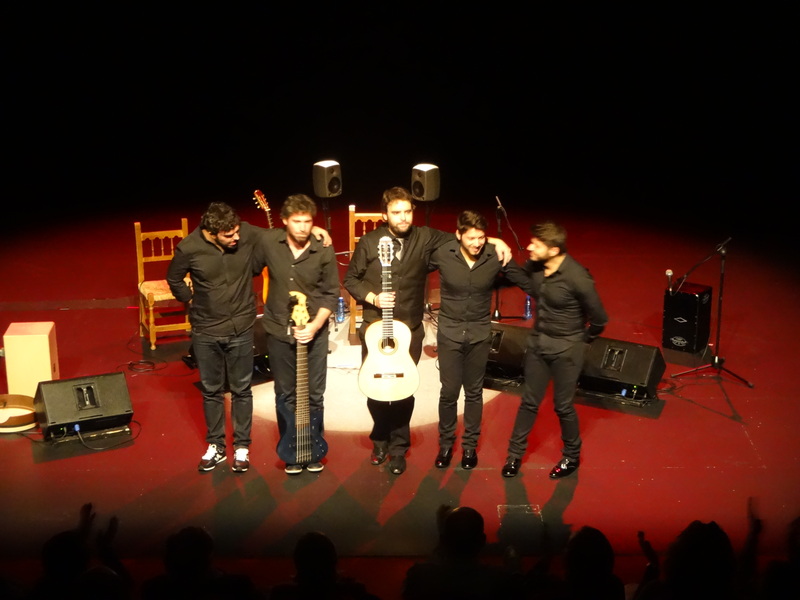 We got to see an authentic flamenco concert. We were the only tourists there! Tip #4: If you are going to a major European city, don’t rent a car!! Even if you park it and use public transport, parking fees are 15+ Euros a day. Public transport is usually much more efficient and cost effective. 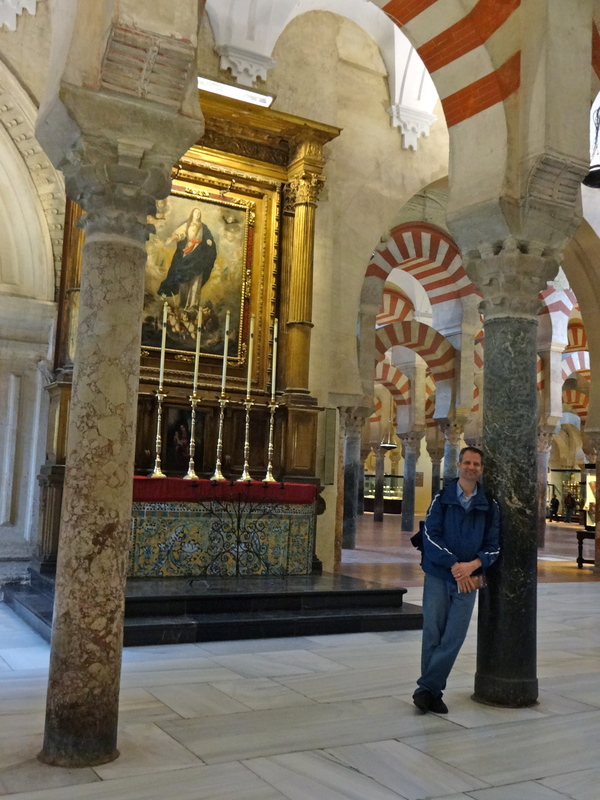 The amazing Mezquita Mosque-Church in Cordoba. Tip #5: If you do rent a car, rent the smallest possible car that will fit you and your baggage. 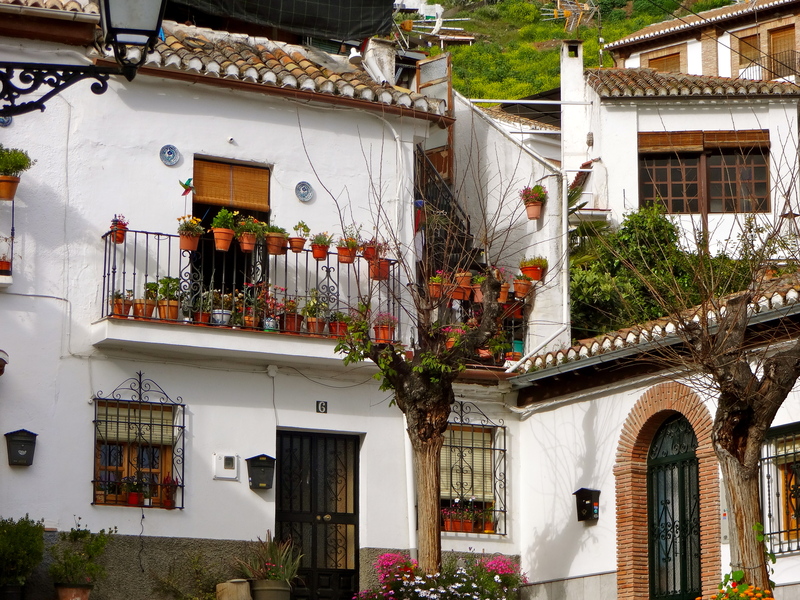 Our car was tiny, but driving in Granada was very stressful because there were dozens of tiny one-way streets that would be more aptly called alleys. They had treacherous two foot metal posts about six inches on either side of the car that lined the alleys (to prevent parking). The street/alleys were so narrow that Andy sometimes had to do a three or four point turn just to make a right or left turn! Parking garages often have insanely small parking spaces, with only about eight-foot aisle between the front of your car and the car opposite. We spent almost thirty minutes trying to get our tiny car into a tiny parking space! 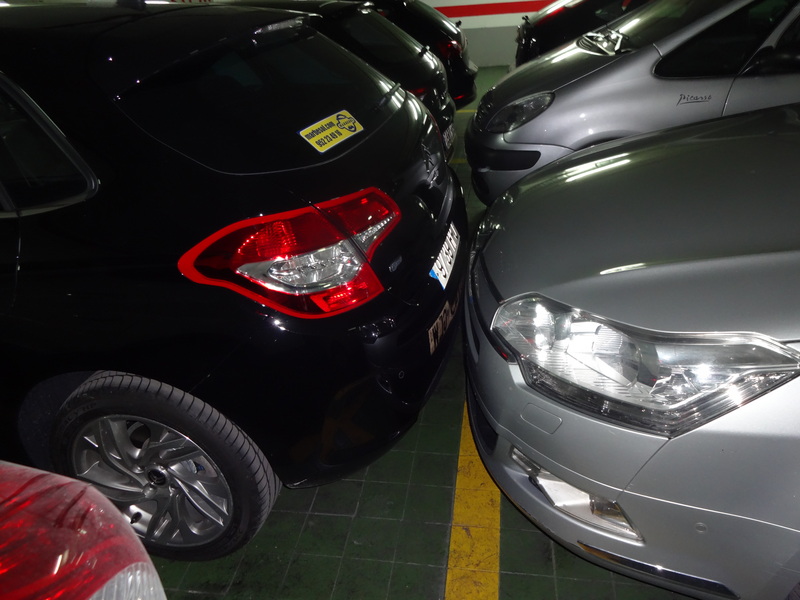 That’s how close another car parked to ours! Our Garmin is two years old, and as we were driving to the airport there was a split in the road in real life, but only one road on our Garmin. Then our Garmin told us we were driving on unpaved roads and wanted us to turn around, when in reality we were on a newly built highway. Fortunately we eventually found our way to the rental agency, but there were a few stressful moments! We will do another car rental for a Germany-Italy-France trip in the summer, and we will hopefully learn from our own mistakes. We hope you can learn from our mistakes as well! Do you have any tips for us?